Now we have began with book II of Owen's monumental work. He begins by returning to the subject in chapter 1 of book I, which concerned the end (i.e. goal) of Christ's death as Scripture declares it (see above). The secondary, or the end that is “intermediate and subservient to that last end” of Christ's death, which is “the bringing of us unto God” (book II, chapter 1). The salvation of the elect is “subservient” to the glory of God. Generally, if you would ask an Arminian, or a non-Calvinist, what God's primary purpose or plan is, they would likely answer “redemption.” On the other hand, Reformed theologians see that God's glory is the primary goal and end of everything which God does, including the salvation of the elect, but that in itself is not the primary goal; the glory of God is the primary goal. ...d, which was ordained by God (Acts 4:27-28). When God ordains sin, He does no violence to the will of the creature, nor is their liberty hundred or taken away. Everyone committing sin and evil does so because they will and desire so. In the example about the crucifixion of the Lord, everyone in the act was a willing participant: Judas, the Jewish leaders, the Romans. All really wanted to do these things and they were not forced to will so. Nonetheless, the Scriptures are clear that they came to “do whatever your hand and your plan had predestined to take place.” According to Reformed Theology, God's decree establishes the liberty of creatures, because their liberty is found within God's decree. This high and mysterious doctrine shows the wisdom of God in disposing all things, and power and faithfulness in accomplish his decree. How has determined everything that takes place in time and yet He is not the author of sin or we are not forced to do those things which God ordained, but freely carry out God's decree. All these things remain truths revealed by the Scriptures, but not fully comprehended by the human mind. Our authority in accepting this statement to be truthful is because the Scriptures teach these things asserted in this chapter, not because our mind can comprehend the truths confessed. There is no truth of Scripture more hated by some and cherished by others than the doctrine of absolute divine sovereignty. The natural man cannot bring himself to accept such a doctrine, yet the child of God who believes this precious doctrine loves it magnifies the Lord through it and finds his rest in it. The Confession is clearly and unashamedly Calvinistic in its view of the absolute, free, irresistible, micro-managing sovereignty of God. Every molecule moves the way it does because God from all eternity has willed that it be so. From eternity past to eternity future nothing will occur to the mind of God which He didn't already know and ordain. He possesses all knowledge, actual and possible (chapter 2:2). The Confession doesn't go into the Hyper-Calvinistic error of disregarding man's will and responsibility, but rather affirms that the liberty of second cause agents (men) are established because of God's decree. The liberty here discussed is obviously not the mythical libertarian free will. There is no such thing as libertarian free will. Libertarian free will says that one can go against all inclination and nature, which is impossible and ridiculous. Jonathan Edwards, in his The Freedom of the Will, shows the absurdity and impossibility of such a will. Rather, moral agency or free will, biblically defined, would be the freedom to do whatever one desires. The Bible speaks about a limitation upon the desires and inclinations of the natural man; this limitation is our sinful natures from which sinful actions are born. See !--cke_bookmark_600S--!--cke_bookmark_600E--chapter 9 for our discussion of man's free will, moral inability, moral necessity and libertarian free will. ...verance and legislation-`stood in the breach before Him, to turn back His wrath from destroying' (Psa 106:23). ...member how, maybe through James White?) with the 1689 Baptist Confession of Faith and I found myself at home in it. Though I did not study it very deeply. This time I have taken the time to go through it with Sam Waldron which I though he did a very good job. Before beginning my study of the confession, through a brother I got into the subject of Baptist Covenant Theology, I got the work of Pascal Denault The Distinctiveness of Baptist Covenant Theology and Waldron's A Reformed Baptist Manifesto. Sometime later I got the recent Recovering a Covenantal Heritage volume. I have been more and more interested in this stream of Reformed Theology. I first became baptistic simply through reading the New Testament and finding no evidence of any infant baptism. I was baptized in the Armenian Church as an infant and was attending a Baptist church in Holland and was convinced that my baptism was no baptism. So on 14-06-2013 I was baptized after a profession of faith. At that time I was in the process of studying the Doctrines of Grace. Sometime later, by the grace of God I came to embrace and glory in them. The first and foremost thing that I love about this Confession is it's high, high, high view of God's sovereign freedom. 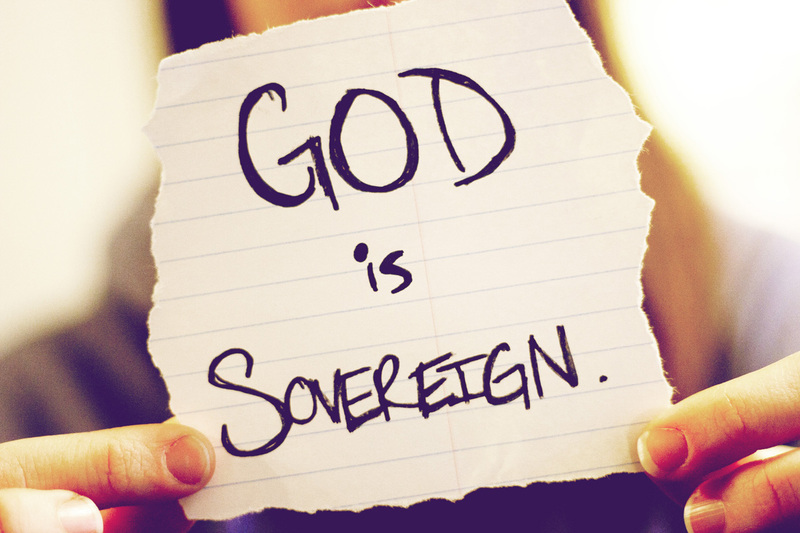 I love it and that is exactly how I believe that God is, the Sovereign King over every molecule. I love the fact of the Baptists' deep commitment to the truth and the sole authority of the Bible and their appeal to the Bible. I could not really find any disagreements with the Confession, so I feel home in it and I'm not ashamed to identify myself as a Reformed Baptist. What I loved about Dr Waldron's work is his way of explaining the Confession and going through the biblical evidence (as I have been reading Grudem, I would have loved it if Dr Waldron would cite portions of the passages that he was using as proof, rather most of the time, only references were given). Dr Waldron explained things very well, I especially liked his extensive treatment of chapters 29 (Of Baptism), 31 (of the state of man after death and of the resurrection of the dead) and 32 (Of the last judgment). There he interacted with the other side and provided some answers. With the explanations he went also through more detail. One thing that was frustrating me, was the load of typos there. It's not that I'm a grammar nazi, but the quality of the work is so great that the multitude of the typos, wrong headings above pages (pages 103, 381), no spacing between words, wrong numeration really were the only downside, which could have been prevented. Hopefully, they will update it in the future, otherwise we'll just have to wait for James Renihan's exposition of the 1689 that is in progress! Heb 6:4-6 For it is impossible, in the case of those who have once been enlightened, who have tasted the heavenly gift, and have shared in the Holy Spirit, 5 and have tasted the goodness of the word of God and the powers of the age to come, 6 and then have fallen away, to restore them again to repentance, since they are crucifying once again the Son of God to their own harm and holding him up to contempt. (This post is taken from a section in my commentary on chapter 17 of the 1689 Baptist Confession, so there are some things here that have been previously argued for, as for example the positive case for the doctrine of Perseverance). John Calvin. Commentaries. Taken from the TheWord Bible Software. Hebrews 6:4-9. Can also be found at here. John Gill. Exposition of the Entire Bible. Taken from the TheWord Bible Software. Hebrews 6:4-9. Can also be read at here. Arthur W. Pink. Exposition of Hebrews. Taken from the TheWord Bible Software. Chapters 24-27. His commentary on Hebrews 6 can be found here. Wayne Grudem. Systematic Theology: An Introduction to Biblical Doctrine. (Grand Rapids, MI: Zondervan, 1994). Chapter 40. John M. Frame. Systematic Theology: An Introduction to Christian Belief. (Phillipsburg, NJ: P&R Publishing, 2014). Chapter 44. Mathew Poole - English Annotations on the Holy Bible. Commentary on Hebrews 6, here. William Burkitt – Expository Notes with Practical Observations on the New Testament. Commentary on Hebrews 6, here. Albert Barnes - Notes on the New Testament. Commentary on Hebrews 6, here. He accepts that the descriptions describe a true Christian, but rejects that it is possible for a true Christian to apostatize. Robert Jamieson, Andrew Robert Fausset, David Brown – Commentary Critical and Explanatory on the Whole Bible. Commentary on Hebrews 6, here. Matthew Henry – Complete Commentary on the Bible. Commentary on Hebrews 6, here. Bob Utley – You Can Understand The Bible (Not that explicit). Commentary on Hebrews 6, here and here. John Owen – Exposition of Hebrews. Commentary on Hebrews 6, here. Steven J. Cole – Lesson 17: When Repentance Becomes Impossible (Hebrews 6:4-8).